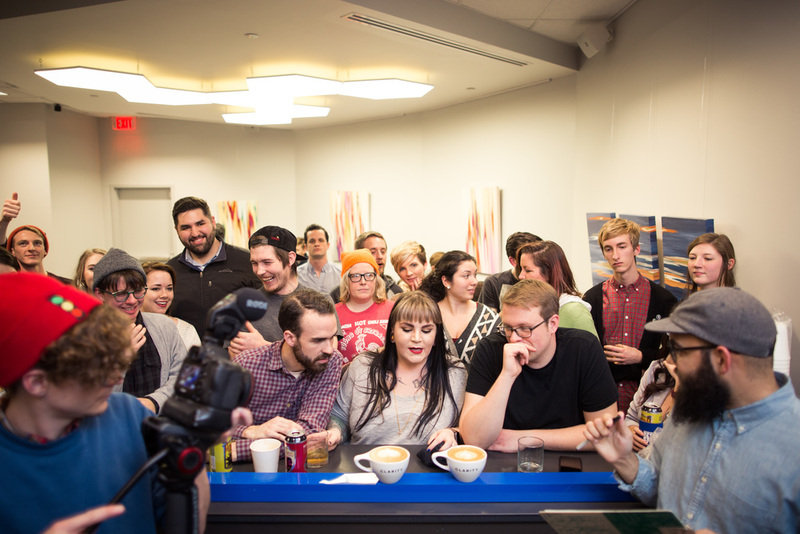 Friday night, we had a blast heading over to Capital City Barbershop for a little friendly competition. 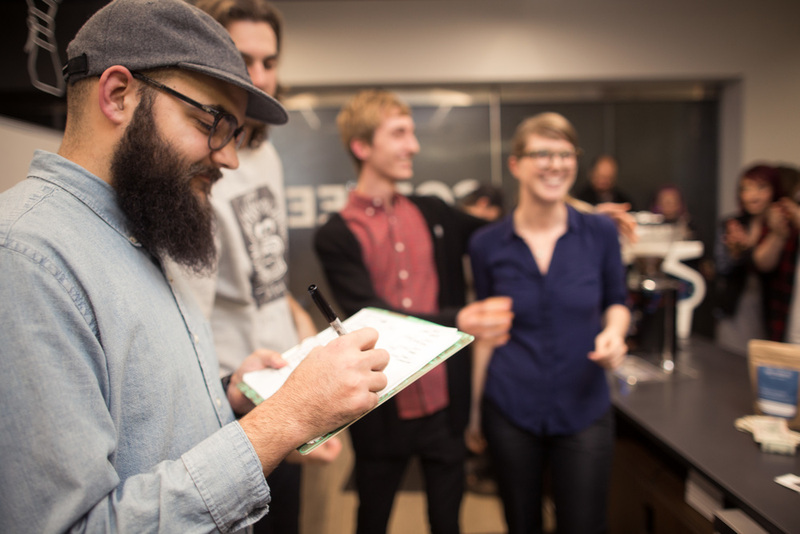 Our own Tanner Ruminer stepped up to run this latte art competition under his Bygone Coffee catering brand. The turnout was fantastic, especially when you consider that this event was taking place outside of the traditional coffee shop setting. We want to give a big thank you to Jake over at Capital City for hosting and to Tanner for organizing. 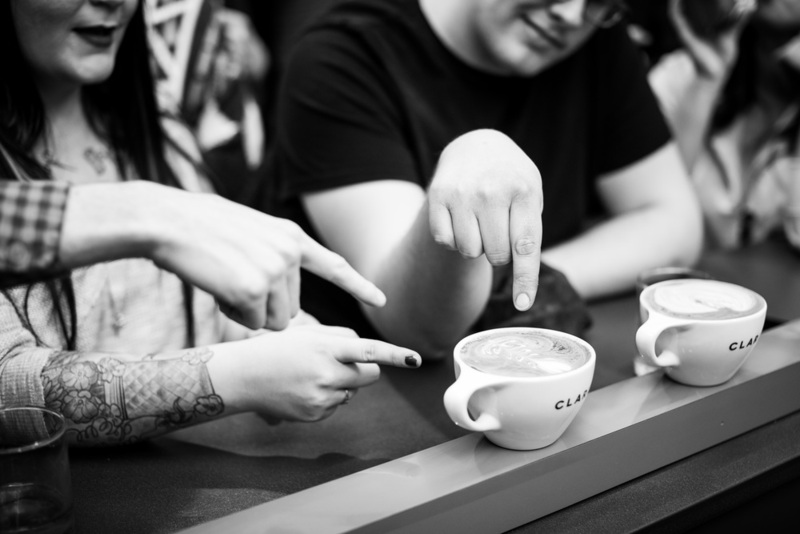 And a shout out to Devin Parham on taking home the W.
It's amazing to see the Oklahoma City coffee community branch out and seek new venues for our events. Where will the next one be? And with no further ado, pictures! Friends, food, beer, lattes, and steamy windows make for a great Thursday night in Downtown OKC. 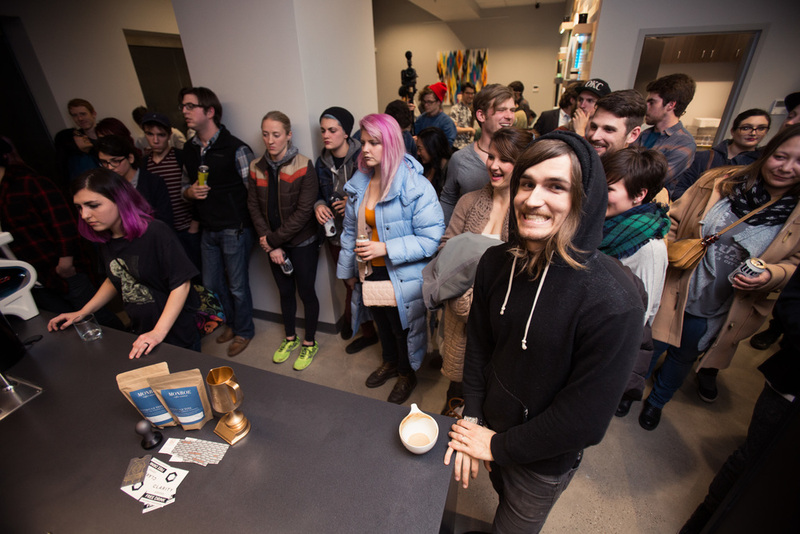 And what a great turnout we had for the Latte Art Competition last week! Here's a little recap if you couldn't make it out or have already forgotten how much fun you had. 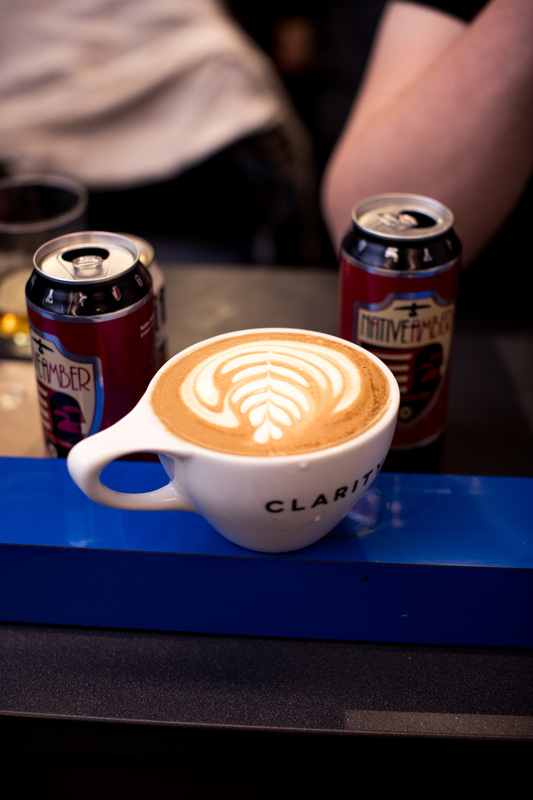 The finalists were Karli from O Bar and Trent from Elemental. Trent took home the trophy, all the cash, some coffee from Monroe Coffee Roasters, and bragging rights for the rest of the month. 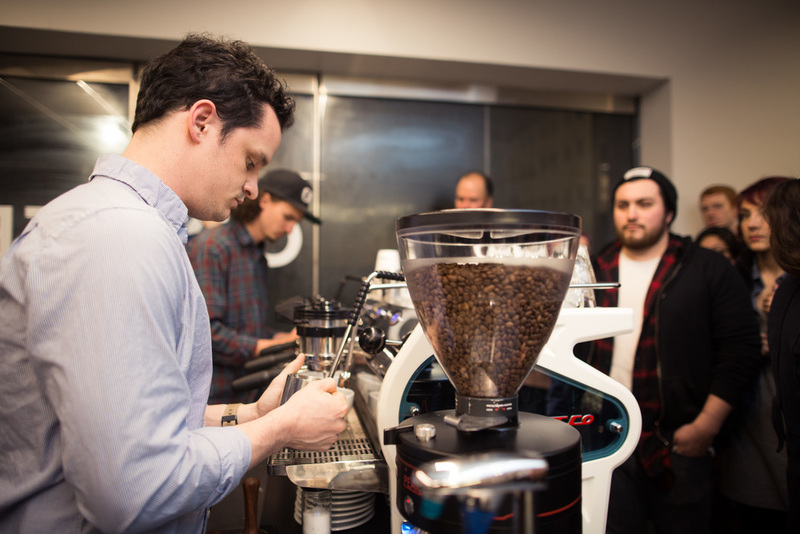 As reigning champ, he will be on the judges' panel for the next competition. 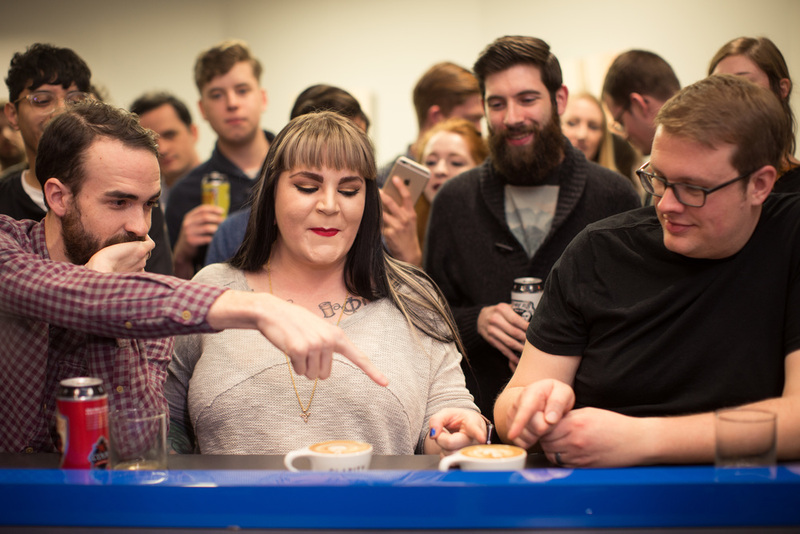 As runner up, Karli also took home a bag of coffee, a stack of free drinks from local coffee shops, and a tamper handmade by Jeff Sapp of Okluma. Thanks to everyone who came out, competed, and contributed to the good times. 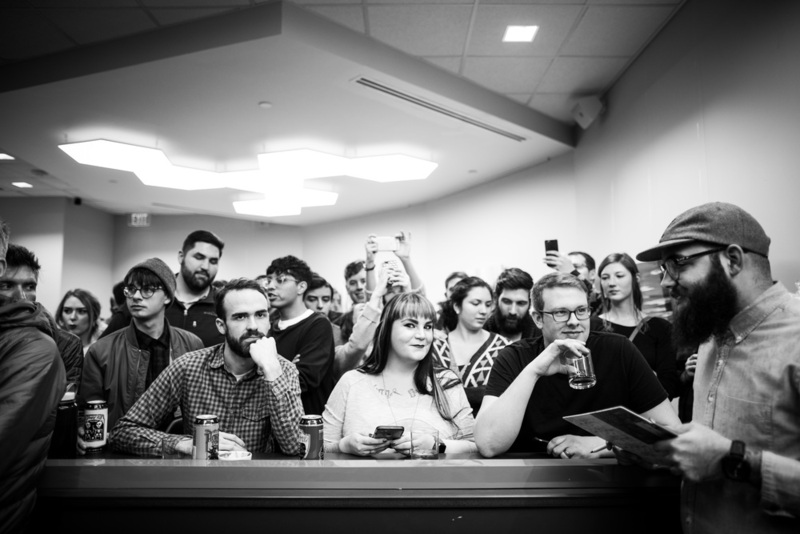 Check out the photos and video shot by our friends at Atria Creative.